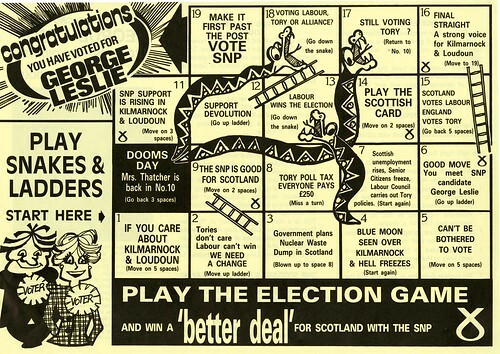 SNP General Election Leaflet, 1987, originally uploaded by Scottish Political Archive. 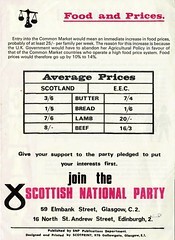 George Leslie stood as the SNP candidate in the 1987 and 2010 General Elections for the constituency of Kilmarnock and Louden. 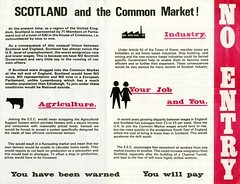 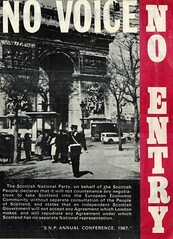 This leaflet refers to the 1987 General Election, for which it won a prize for innovative design.